2009 Single Lot Cabernet "Four"
The techniques used to craft Cabernet Sauvignon at Inglenook have evolved greatly since the time when Gustave Niebaum founded the estate in the 1880s. When he established Inglenook, he had already determined, based on the tasting of the first Napa Valley wines, that the prime Rutherford land he'd purchased would be an excellent site for growing Cabernet Sauvignon. However, since Niebaum wanted to create wines that rivaled the finest in the world, he made frequent trips to Europe to see how the prestigious French chateaux were planting vines and crafting Bordeaux. But, he still saw room for improvement and decided to experiment on his own both in the vineyards and the cellar. Niebaum imported vine cuttings from France, but created his own style of vineyard spacing and insisted on having impeccably clean equipment, which wasn't then considered terribly important to the art of winemaking. Some of the vines grown on the estate today are descended from those original vines and share the same genetic material. Niebaum accomplished a great deal; his grandnephew, John Daniel, Jr., who inherited the winery, accomplished even more, including the production of several Cabernet Sauvignons that have made the Top 100 of-all-time list. Today, there are 235 planted-vineyard acres at Ingelnook with nearly 130 acres dedicated to growing ultra-premium Cabernet Sauvignon. Scott McLeod, our winemaker during this vintage, had been making wines at the estate for 18 years, when this winery was called Rubicon Estate, and was focused primarily on creating what we call property wines of exceptional character and quality. In addition to crafting Rubicon, which is our flagship Cabernet blend, and Cabernet Sauvignon, formerly known as CASK, which was a tribute the old Niebaum technique of large cask aging, we were inspired to give our members a behind-the-scenes look into some of the most outstanding grapes by producing four single lot Cabernets from the 2009 vintage. Each lot is extremely limited and was selected for its distinct attributes. It should be noted, however, that the number designation on the label does not represent the actual lot number. There's a far more personal explanation behind the name; each number represents the birth date of a Coppola family member. “Four” is comprised of Cabernet Sauvignon harvested from our Niebaum Lane Vineyards known as Red Barn and Cohn F. These are the southernmost vineyards on the Estate and soil type in these regions vary narrowly between beautiful clay loam to bale loam. 16 months of French oak barrel ageing in our caves allowed for an elevage of roundness while preserving the fresh aspects of the grapes. 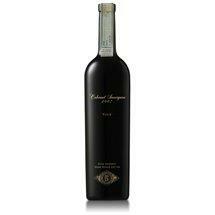 The results are a wonderful, weighty and opulent texture to this Rutherford Cabernet. Displays characteristic ripe red cherry, plus marzipan with briary, earthy characters in the nose that carry forward into the mouth, accompanied by very approachable, rich, round textures. Cellaring Notes: Just like the 2009 Single Lot Cabernets, we encourage you to cellar this wine for a few months before opening, or cellar for 8 to 12 years for added complexity and development. Food Pairings: Pair with Cabernet friendly foods like beef tenderloin with creamy mushroom gravy, prime rib, braised or slow-roasted lamb with gorgonzola cream sauce, or even a classic hamburger.